As New England emerged from a record-breaking snowy winter, I watched trees blossom overnight into intricate patterns against a blue sky. Without thinking, I grabbed my iPhone and pointed upward. Click. Click. Click. Admiring nature’s beauty is more than a hobby; it’s genetics. We are programmed to enjoy those zigzagging branches against a blue backdrop. This love of nature, or biophilia, was coined by Harvard biologist E.O. Wilson in 1984 as a label for our innate and evolutionary affinity for the outdoors. Wilson said that humans “subconsciously seek” connections to the natural world. Moreover, nature, however seemingly random and wild, has an underlying mathematical structure. Those budding branches with their repetitive and serpentine designs are called fractals because their patterns duplicate in ever-decreasing sizes, as large branches split into smaller limbs, and smaller limbs turn into twigs. We see fractal patterns in rivers with tributaries, and shorelines that wiggle and squirm along the coast. Sea shells, snowflakes, mountain ranges, lighting bolts, ocean waves, crystals, pineapples, broccoli and cauliflower are all examples of fractal designs. Inside our bodies, fractal patterns are found in our lungs and blood vessels. But tree fractals have special meaning because humans evolved in the grassy African savanna, consistently in contact with the natural world, writes Ann Sussman in her book, Cognitive Architecture. Innate human preferences for savanna-like environments have led Judith Heerwagen, along with other scientists, to focus on tree images as “signals of refuge that offer the potential for shelter, shade, and nourishment,” writes Lance Hosey in The Shape of Green, Aesthetics, Ecology and Design. 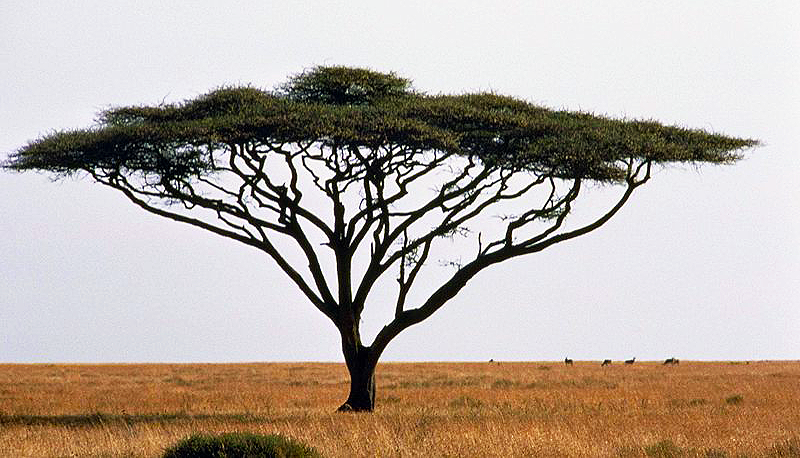 Acacia trees, in particular, elicit positive responses from humans because they are indigenous to the savanna, and boast fractal patterns that are not too dense nor too sparse. Researchers studying stress-level responses in humans viewing these trees use a combination of eye-tracking software with EEG and fMRI-probing technology to quantify brain responses. Psychologist Heerwagen and others confirm the effect of acacia trees on the brain. In their study for furniture manufacturer Herman Miller, they found that people sitting at desks decorated with acacia images scored better in memory and problem-solving tests. “So the acacia isn’t just visually pleasing—it actually elicits a physiological response,” writes Hosey. Our brains respond to man-made fractals, too, such as those found in the drip paintings of Jackson Pollock or the network of steel girders making up the Eiffel Tower. 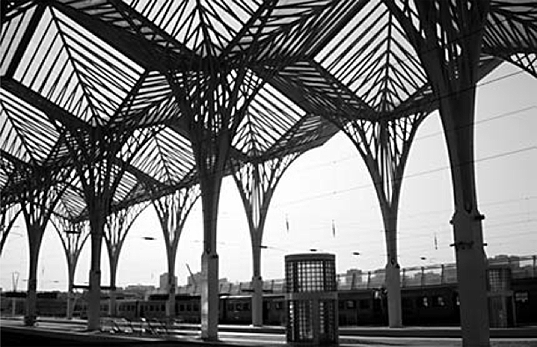 Buildings also draw in the human eye with their repeating shapes. 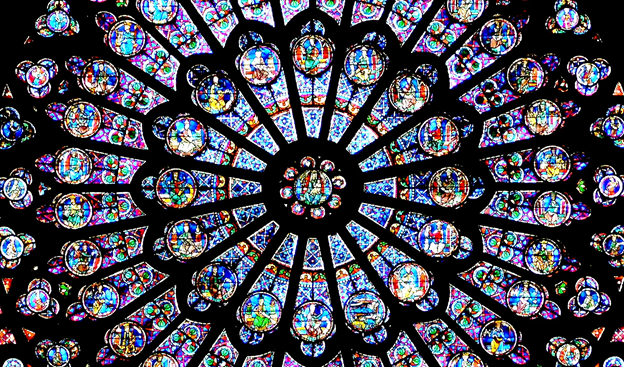 From medieval churches to Apple’s latest ads, the effect seems timeless. “The more we appreciate our response to patterns, including fractals, the better our designs will be,” predicts Sussman. 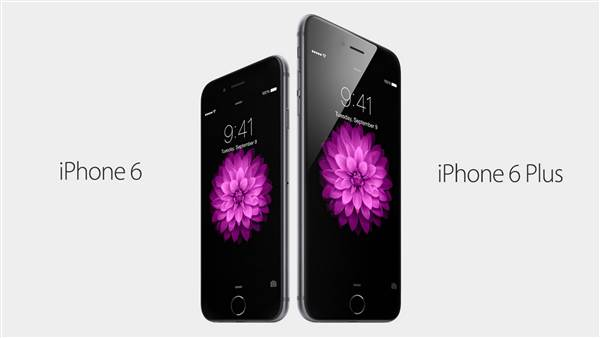 Fractal Design in Flower on iPhone 6, Photo courtesy of Apple, Inc.
With their power to fascinate and captivate the viewer, we can expect to see more of them in built environments of the future. 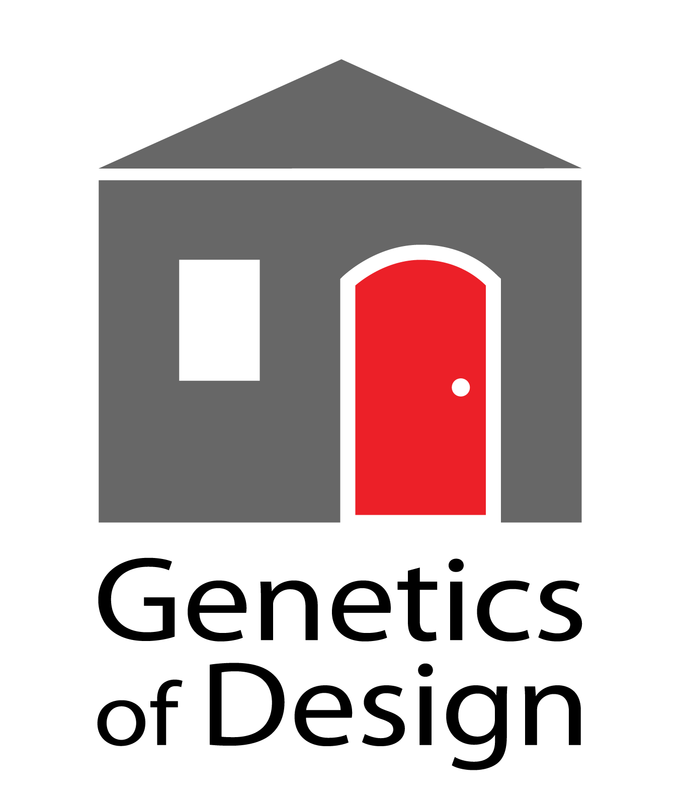 This entry was posted in Biology, Design, Fractals and tagged Design, Neuroscience. Bookmark the permalink.